Santa Claus: [after gunning down an Iraqi henchman] I couldn't do it. I couldn't let him live. He shocked Santa's balls. Q: Is "cancer" a real or fictional disease? Q: Is "AIDS" a real or fictional disease? 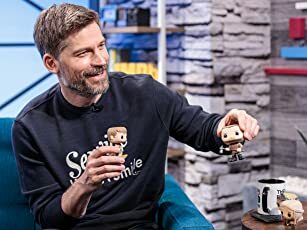 Q: How was Jesus killed in this episode? Quite possibly the funniest Christmas special I have ever seen!!! 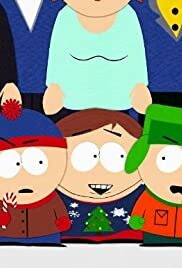 In this South Park Christmas Episode the boys and Mr. Hankey must save Santa Claus as he has been kidnapped by Iraqy terrorists while doing his Christmas rounds. The boys and Mr. Hankey need some extra help so they search for some help from Jesus Christ. While this is all happening, Jimmy decides to bless all of South Park with singing "12 Days of Christmas". This episode is so funny as it has some great moments with Santa and Jesus together and also the scenes where Santa is being tortured is pretty funny. You gotta have a opened and humorous mind in order to enjoy this episode and all south park episodes in fact lol, but I guarantee its something you will never forget lol. This episode may look wacky and funny to us, but for the boys its all a part of growing up in South park! 8/10 stars.